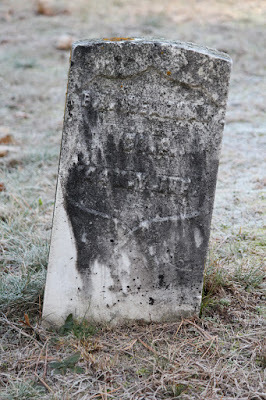 John Baptiste DuBay is buried at Knowlton Cemetery on southbound County Highway DbB just south of its T-intersection with School Road, at 1951 County Highway DB, Township of Knowlton (Mosinee), Wisconsin 54455. 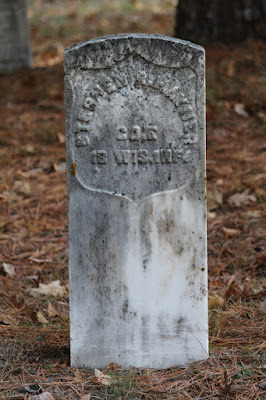 NOTE: The present headstone, made of Wausau red granite and placed in 1942 by George Mead, Sr., replaced an older headstone. John Baptiste DuBay (July 10, 1810 – January 11, 1887) was a pioneer fur trader throughout the upper Midwest, primarily in Wisconsin. He was very successful in several of his endeavors. However, in 1857 he was accused of the murder of a mill owner in Portage, Wisconsin. Despite two mistrials and an aborted third trial he was not convicted. Nevertheless, the experience left him financially ruined. DuBay was illiterate and signed documents with an X. By others his name was variously spelled Dubé, Du Bay, and Dubay. The foregoing test is available under the Creative Commons Attribution-ShareAlike License; additional terms may apply. John B. DuBay, who died at Hutchinson, Marathon county, this week, was born in Green Bay in 1810. 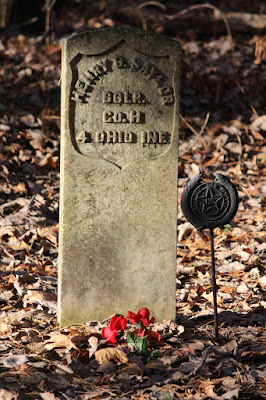 He was a noted man with the Indians in early days and took part in the Black Hawk war. The death of the above named well known, and in some respects remarkable individual, took place at his home on the Wisconsin River above this city last Tuesday. He had been gradually failing for some time, but was really sick only about two weeks. The funeral took place on Thursday, with interment in the Knowlton Cemetery. In the death of DuBay, probably the oldest person born within the territory now comprising the State of Wisconsin has passed away. He was born at Green Bay in 1810, and therefore when the Territory of Wisconsin was organized he was 26 years of age; when it became one of the States of the Union he had attained the age of 38. A portion of his earlier years, however, were spent in Michigan, where he was engaged in trading with the Indians, and he claimed to have built the first house on the Kalamazoo River, near the site of the present city of that name. He afterwards served as interpreter for Gov. Dodge, Wisconsin's first territorial Governor, and for many years thereafter was intimately associated in one capacity and another, with nearly all the men whose names are so prominently associated with our early history. For five years he had charge of the American Fur Company's interests on the headquarters of the Chippewa, where the Company had at that time maintained a trading post for about 100 years. 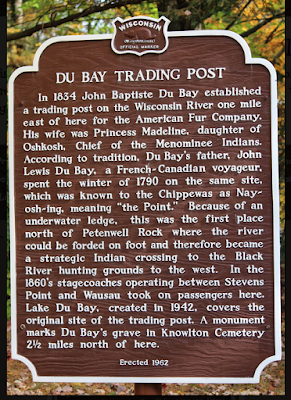 The first saw mill ever built at Chippewa Falls was in pursuance of an arrangements made by DuBay with the Indians. He at one time had a claim at Fort Winnebago, upon which a party, under the leadership of one Reynolds, undertook to build a mill. During the absence of DuBay on a hunting excursion, they put up the frame, which, when he returned at night, he proceeded to pull down. In the trouble that followed DuBay shot and killed Reynolds. DuBay gave himself up and was taken to jail, where a mob gathered to lynch him. The latter were told by the sheriff that he had armed DuBay, and they had better go away, which they did. He was tried at Madison, being defended by Harlow S. Orton, at present an associate justice of our Supreme Court, and Hon. Moses M. Strong, and acquitted. He had lived on the place where he died for many years, and in the early history of this country was one of the best known men in it. During his latter years he was supported by his children, but he had handled a great many thousand dollars worth of goods, and there are people who can remember when he used to drive the finest team between Wausau and Portage. An interesting read! Even in death, mystery and scandal follow John Baptist DuBay . . .
at the entrance to the cemetery. is the author's life plus 70 years or less. (DuBay's headstone is visible to the left of the address sign). 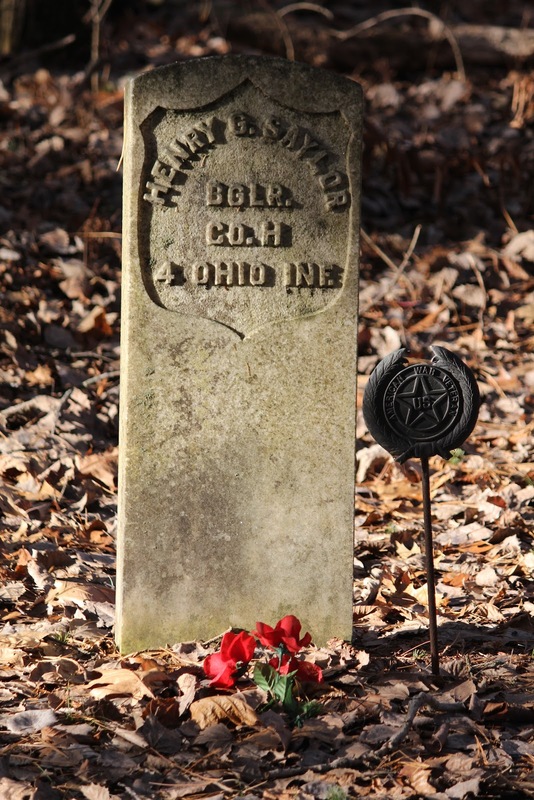 Three Civil War soldiers (above and below), also buried at this location. located in Junction City, Portage County. 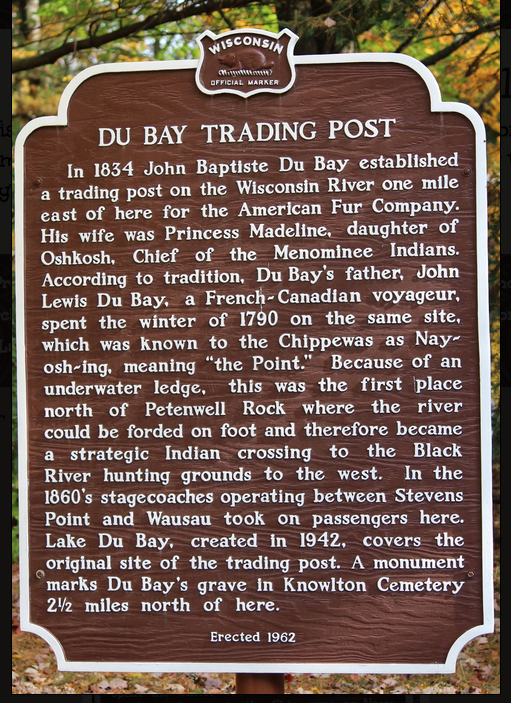 John Baptiste DuBay is buried in the Township of Knowlton, Wisconsin.